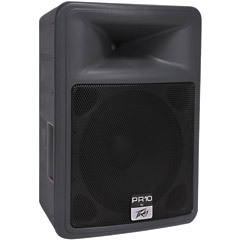 Location: Store Home > Peavey PR 10 10" 2-Way Speaker System "Free Shipping"
Peavey's PR® series delivers superior sound quality by utilizing advanced materials, like its lightweight, roadworthy molded polypropylene exterior. The PR 10 is a two-way PA speaker system that is lightweight yet rugged for live music or speech applications and will handle 400 watts program and 800 watts peak. It utilizes a heavy-duty 10" woofer with neodymium magnet and 2-3/8" voice coil, and a 14XT™ 1.4" titanium diaphragm compression driver coupled to a constant directivity horn. Its durable injection molded enclosure features a black powder-coated steel grill that provides driver protection and a professional appearance. This system can be used on the floor, be pole mounted or flown via top and bottom flying inserts. Connections are made via two 1/4" phone jacks connected in parallel to accommodate daisy-chaining. Specifications: • Power handling: 400 watts program, 800 watts peak • Frequency response: 54 Hz to 21 kHz • Sensitivity: 95 dB at 1W/1m • Nominal coverage pattern: 90° x 40° • Nominal impedance: 8 ohms • Net weight: 20.0 lbs • Dimensions: 19" H x 14" W x 13.38" D. weight 25lbs. 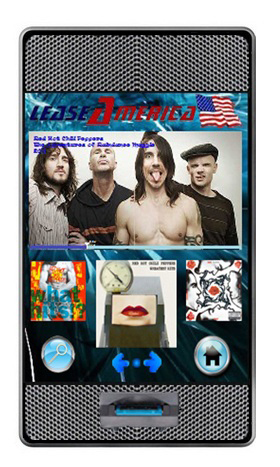 Lease America has developed the first Open Door Policy allowing you to own a Digital Internet Jukebox. With flat fee pricing and never before seen features, these home and commercial Digital Jukebox's are a must for all entertainment Venue's! Call 800-950-9634 for yours today! !